This is our 9th annual Pumpkin Carving Party at The Paint Box! Come to the studio for snacks, hot apple cider, and of course to carve a pumpkin. 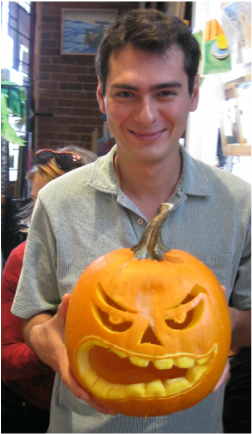 Bring an idea, your own pumpkin, knife and an open mind and we'll help you carve the pumpkin of your dreams (or nightmares!) Parent participation required for students under 10. This year we're asking for donations of $5 per family, to go towards Jeneece Place. Register here and choose a 1 hour time block (1-2 or 2-3pm) so we can space people out and know how many kids & adults to expect at a time! The party is located on the Vic High Field from noon to 8:30pm so that the whole neighbourhood can come and enjoy our free entertainment! Have a burger, dance with your neighbour, bit on the silent auction and celebrate our vibrant community! This year VSB Party proceeds go to community initiative. So come on out and help us make our community grow! Emily will be there will art activities for children to do and offering face painting for all by donation! Let’s do it again! Get your smock ready and ponder your dream design; you and your friends are invited to take part in the 2nd Fernwood Pole Painting Project, on May 26th. Since last year’s event was so much fun, how could we resist doing it all over again? Emily Grav of The Paint Box, Beth Threlfall, and Fernwood NRG are coming together to bring you not just a day but a whole week of paint-a-pole greatness. Emily will be painting poles and giving painting advice throughout the day in the square and around the neighbourhood! See you then or at the Stencil making workshop this Tuesday, May 22nd, 6-8pm at the Fernwood Community Centre! For the 17th year in a row, we will be rocking out with musicians, performers, dancers, food, bikes, artists, magic, and so much more! There is no better place to be on June 22nd and 23rd. Join us and watch the revelry unfurl as the Fernwood Square is transformed into a 2-day circus extravaganza of fun with all your best neighbours and friends! Emily will be in The Paint Box all day Saturday, June 24th, face painting, tie dyeing t-shirts, making pin wheels and painting Terry's Car! Come and visit us for a full day of amazing actives! Saturday, June 23rd, and Sunday, June 24th, from 11:00 to 4:00 several artists in Fernwood, the funky neighbourhood of Victoria, will be opening their studios for a show and sale. 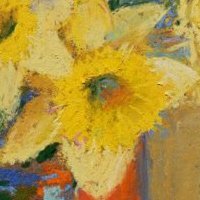 Emily will be in The Paint Box on Saturday, June 24th for Fernfest, showing some of her recent paintings so come and visit us! 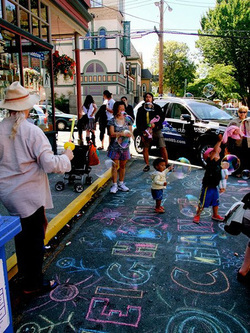 Description: You’re invited to the third annual Neighbours for Change, an old-fashioned block party in the heart of Fernwood on Sunday, July 22nd from 2:00 p.m. to 5:00 p.m. The celebration aims to bring together locals and friends from all over in an afternoon of music, food and fun. Emily from The Paint Box will be there face painting (for kids and adults) and collecting donations for this great cause! Come say hello!